Providing hope and relief by offering lending opportunities to underserved and often overlooked small business owners. Every brand tells a story. A good brand tells one about real people. The following are various branded materials for Connect2Capital designed in partnership with IDEO.org. The Community Reinvestment Fund, USA (CRF) launched Connect2Capital (C2C), an online small business lending platform, in response to the rapid growth of online lenders. CRF wanted to disrupt the world of lending by doing something different, something more helpful to low-income communities, people of color, and immigrant business owners. They hired IDEO.org to help them understand what that meant and how to accomplish it. 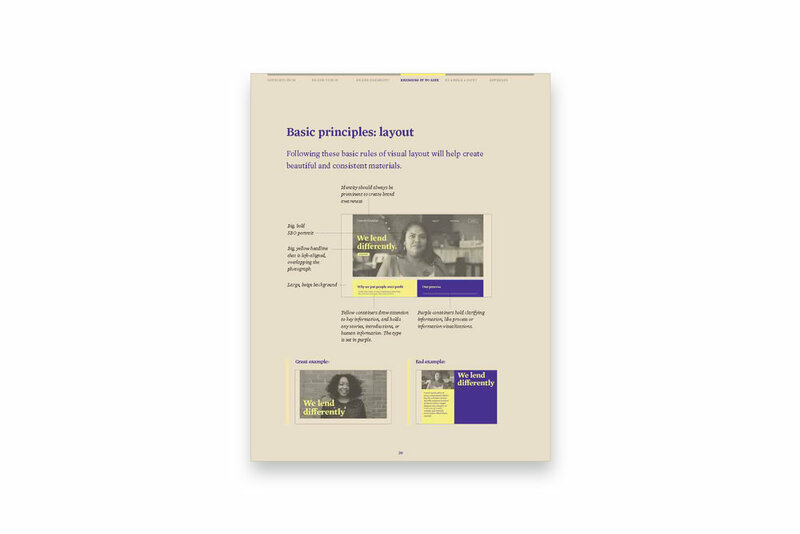 Working as a contractor for IDEO.org, I helped design a storytelling document, brand guidelines, social graphics, a web page, infographics, and a newsprint deliverable.